Make a small cup of green tea using one or two teabags. Crush three or four aspirin tablets into the warm tea and dissolve them. Use this solution on your face three times a day. Apply after washing and allow it to dry on the face. Ideally, make a fresh solution every day. It reduced the symptoms by around 80% in my case. 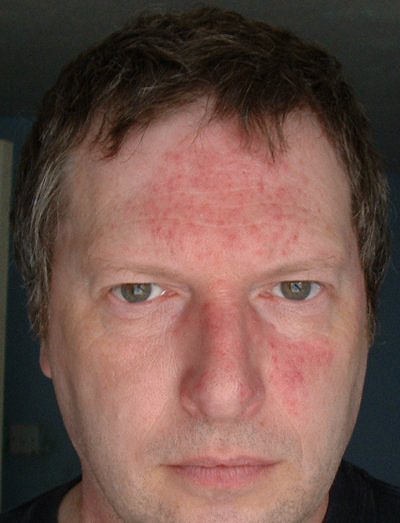 Rosacea is a condition that I gradually developed over the past few years. Apparently, there is no permanent cure as yet and the reasons for it are not fully known, although there may be a genetic link. It is fairly common in older people. It is typified by redness on the cheeks, nose, chin or forehead. Small visible blood vessels on the face. Bumps or pimples on the face. Watery or irritated eyes, and a swelling or thickening of the skin. It may well have different causes in different people. This page is a record of various experimental treatments. Naturally, I give more space to the successes than failures even though my ‘failures’ might be successful for other people. As you can see, it’s not an especially bad case, but unpleasant nevertheless since I have the full range of bad symptoms from skin thickening to conjunctivitis (sore eyes). It’s exacerbated by sunlight, which is another problem. I eventually saw a doctor who prescribed the tetracycline mix known under the trade name of ‘Deteclo’. A six week course of this antibiotic cleared the symptoms. However, they gradually recurred when I stopped taking the medication. I also tried the topical medication ‘Metrogel’, but that appeared to make things worse. Anyway, rather than spending half of the rest of my life taking antibiotics (which itself can lead to long term problems that make rosacea seem insignificant) I decided to try an experiment. The reasoning was straightforward, namely, why dose the whole body when only a patch of skin needs it? I needed a method of introducing antibiotics efficiently into the deep layers of the skin. Fortunately I knew of a chemical that could do this, dimethyl sulphoxide (sometimes spelled sulfoxide) or DMSO. I won’t regurgitate the info on DMSO, but you should check out detailed toxicology reports. Briefly, it is for the most part a remarkably non-toxic substance with several remarkable properties. It is a very powerful anti-oxidant, which is useful in the healing process; it is an anti-inflammatory and a mild analgesic. However, it’s most amazing property is the way it penetrates the skin, and additionally can carry through the skin quite a few substances if they are dissolved in it. The process is so rapid that you can taste the metabolites in your mouth within 30 seconds of skin application. Which brings me to its only drawback, which is it gives the breath a garlic smell. This is not actually too bad given the small quantities in which I have been using it. Update — I have been informed that it makes my breath smell like ‘a chemical’, which means I have got used to it and my ‘self smell’ report was rather unreliable. Something to bear in mind. Anyway, the first step of the experimental process was to acquire some DMSO. Now, DMSO is quite easily obtained in (say) the USA, but not so readily here in Nanny Britain, perhaps because unlike most of the stuff one gets in healthfood shops DMSO really does have a powerful effect. I obtained a litre of DMSO as a sample from a chemical supply house. It was certified to a purity used in the manufacture of pharmaceuticals (but not itself pharmaceutical grade) and was 99.97% pure. The chemical itself is very cheap — I have seen it advertised in the US for as little as $15 per litre, and in large quantities (hundreds of litres) that comes down to around $4. It is important to get fairly pure DMSO, but certified pharmaceutical grade (for use as a medication or a pharmaceutical solvent) is expensive and probably unnecessary. The pharmaceutical grade is suitable for internal use, either by drinking or intravenous. It is, for example, used in treating interstitial cystitis and storing transplant organs. Having obtained some I warmed it to melt it, since the pure stuff freezes at around room temperature and made up a solution in de-ionized water around 85% DMSO. Between 70% and 90% is considered optimum for skin penetration. Use of 100% DMSO on the skin will result in blistering — not advised, and pointless (unless you want a blister, which is one of its uses in veterinary medicine). I applied this to the rosacea (without antibiotics) using a piece of cotton wool to wet the face, twice a day for two weeks in order to test the effect of the substance on its own. Note: before putting it on my face I tried some on the soft skin on the inside of my forearm in case there was any kind of allergic reaction. Since after a few hours there was no reddening or soreness I then proceeded to the face. It is generally a good idea to test new formulations like this on a bit of skin you do not mind losing! It should be noted that DMSO on the face stings. Not badly, but like a strong aftershave and it has a tendency to dehydrate the skin, which was probably a beneficial side effect in my case. The result after two weeks was interesting, but not unexpected. The rosacea was still there, but the bumps, pimples and skin thickening were all markedly decreased. Only the redness remained significant. The next step was to mix it with antibiotics. I obtained a prescription for pure tetracycline tablets, 250mg each, (not Deteclo) from my doctor. I wanted to make sure I knew which drug did what, and so started with the most basic formulation. Additionally, if I accidentally create a tetracycline resistant infection because of the low level use it will be solely to this one very basic antibiotic, and there are a number of other variants on this theme plus many other antibiotics that would continue to be of use. Even so, it was not pure since tablets contain binders and a coating, but it had to do. I ground up two of the tablets, a total of 500mg of tetracyline, and mixed it into 25mL of 85% DMSO. Most of the powder dissolved to provide an amber solution (tetracycline is yellow) with the remaining crud falling to the bottom of the test tube. The solution was then decanted off. (Tetracycline is soluble in DMSO up to 14%). So I then had about 20mL of 4% tetracycline solution in 85% DMSO and water. This I keep stored out of the light in the refridgerator, since I believe tetracycline may be photosensitive and degrade in light (and warmth). I also made a new batch every week. One minor side effect is a slight yellow staining of the skin after application, which fades fairly rapidly (hours, but not days — it is seen on the unblemished areas of white skin, not on the red). At this point a problem surfaced in that the effectiveness wore off quickly over the week. The reason, as I discovered, was that tetracycline in water is not stable for more than about a day. To remedy this I made up a tetracycline ‘stock’ in pure DMSO (in which it is stable) and used this daily diluted as needed. Why 4% you might ask? Well, here’s the crude mathematics. I weigh approximately 100kg, and a standard dose of tetracycline is two tablets (500mg) per day which works out to be a dose of about 5mg per kg. At a rough guess the surface tissue mass under the rosacea is around 500g and so I needed to deliver around 2.5mg of drug into the skin per day as a minimum. A 4% solution is 20mg per mL, which means that if I used one mL per day I would be delivering a dose some 8–10 times larger than by an oral route. This is assuming all of the tetracycline in the solution is absorbed through the skin, (which it is not). Again, I checked the effect on the skin of my forearm for any reaction — there was none. I did this because high doses of tetracycline can cause tissue damage (necrosis). Typically such damage may occur at the needle site when it is used intravenously. Initially, there were problems getting the dose correct, since I greatly overestimated how much was being applied to the skin by the cotton wool. Even so, positive results showed within a week. At that point I decided to apply the solution more accurately and measured 0.5mL using a graduated syringe and later an eye dropper. Half a milliltre is a good soaking. I just held my head back and dropped it onto my forehead, rubbing it around using a clean finger, making sure not to get it in the eyes (it probably won’t cause significant damage, but it will sting like hell). Application was twice per day. Most of the rosacea disappeared within three days. Here is a photo taken two weeks after I started applying the ‘final solution’. As you can see, most of it has disappeared with only a small amount of discoloration remaining, which I expect to go within a few days at the present rate. NOTE: After this photo was taken I cut back the dose to once per day of 0.5mL solution which seems just as effective as the twice daily dose. Part of the reason I did this was to minimise the ‘discomfort’ of those around me with respect to the smell. By applying the solution before I go to bed a good fraction of the smell is gone by the morning. The fact that the skin is still stained yellow in the morning strongly suggests that the antibiotic is being infused slowly throughout the night, although obviously not so rapidly as when DMSO is present. Most of the stain is either superficial or in the top layers of the skin, since most of it will wash off and much of the remainder can be removed with a brisk rubbing of the skin (not advised with rosacea as the skin is delicate mechanically). Additionally, I believe it does make the skin photosensitive and I wear sunblock during the daytime, making sure that the DMSO has been applied long before as it would not be a good idea to apply sunblock and have its constituents carried through the skin. When using DMSO this must always be borne in mind. Finally, it’s not a cure but at least when I do use it I won’t be ruining my stomach lining or hitting my whole body with large quantities of antibiotics. The 20mL is enough for about 5 weeks of treatment. The upshot is that I am effectively taking 2 tablets in that period instead of 40, a reduction of 97%. Not to mention that 2 weeks of treatment using this is as effective as 6 weeks of oral antibiotics resulting in a total dose reduced by a futher factor of 3. I will keep this page updated as to progress, both positive and negative. The only conclusion to be drawn is that so far, for a few weeks, the treatment is working extremely well. Whether it continues to do so is something I will doubtless discover. If I ever have to take anything ‘stronger’ such as Roaccutane (also known as Accutane), a drug with a list of horrible side effects as long as your arm, I will seriously consider using DMSO as the delivery mechanism, after checking to see if any unfortunate synergistic effects exist between the drug and DMSO. It amazes me that DMSO is not more widely used for such purposes. As an aside, I have also started using a pure water/DMSO solution in minor injuries and can report that it works in relieving pain quite effectively. 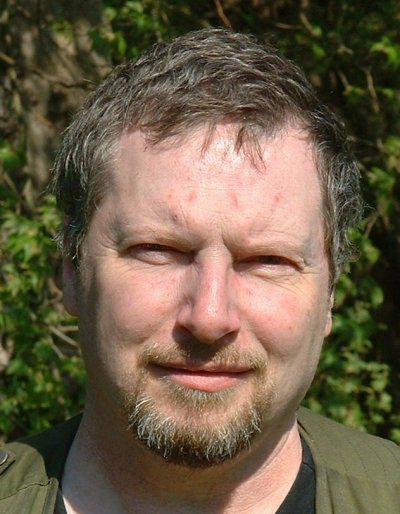 I have been informed that one of the metabolites of DMSO, methyl sulphonyl methane (MSM) which is commonly sold in health food shops even in Britain has skin penetrating properties similar to, but less than, DMSO. However, MSM is a powder and cannot be made into a water solution with a concentrartion greater than about 25%. Nevertheless, it may be sufficient to boost the uptake in skin of other compounds. In particular I intend to allow the rosacea to partially return and then try a dilute solution of aspirin (not pure salicylic acid), since this is both acidic (which allegedly helps in some cases of rosacea and acne) and is an anti-inflammatory (always a good thing in such cases!). Since this is potentially more damaging to the skin I will start with very low concentrations of aspirin in MSM/water solution. .
Aspirin (and salicylic acid) have very low solubility in water — around 1%-2% — and so the dose is self limiting in that respect. Aspirin is also unstable in water, slowly hydrolysing to salicylic and acetic acids. However, this is not a problem for the intended use. In order to ensure both enhanced penetration and solubility I made up a 1% soln of aspirin in a mixture of water and 20% DMSO. Aspirin is very soluble in DMSO. I have shelved the idea of using MSM for the time being. 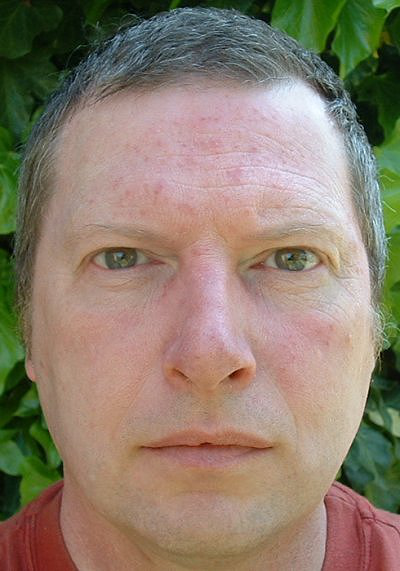 As the rosacea started to return with the cessation of the tetracycline treatment I applied the aspirin solution using a cotton wipe, three times a day. After three days the results have been remarkable. In fact, almost as good as the tetracycline. The solution does keep the rosacea under control but does not totally eliminate the symptoms — there is still some redness. It does have very powerful anti-inflammatory properties though. Currently I have increased the dosage to 4% dissolved in 30:70 DMSO:Water without there being any problems. One interesting aside — the ‘irritated eyes’ that were one of the symptoms are no longer a problem, which suggests that the problem was linked to the inflammation. …which I am now doing. After a bit of experimentation with fairly concentrated solutions of MS necessitating a quick run to the bathroom to wash the ‘fire’ off my face I have settled on a composition of 4%-5% MS in 80:20 DMSO:Water. Kinder it is not (apparently), but quite effective. The picture below was taken after about a week using the formulation. The results are quite satisfactory, plus the MS lends a rather pleasant smell to the treatment. As an aside it is important to get the pure chemical, ie the synthetic oil because the natural stuff also includes some toxic chemicals you probably would not want DMSO zapping straight into the bloodstream. One more step — adding an anti-bacterial agent to the mix. Provisionally I have chosen to add two prominent ingredients in a pure(ish) form to the mix, eugenol and thymol (additionally anti-oxidant, fungicide and skin penetration enhancer) derived from Oil of Cloves and Oil of Thyme respectively. I tried adding one of the above and appeared to develop an allergic reaction with reddening and soreness of the skin. However, it now seems that this was not the case and what I was actually suffering from was sunburn! This was despite not being exposed to much sun at all — at most an hour of sun on a spring evening. Either the DMSO and MS sensitizes the skin or, more likely, it acts as an exfolient and removes the protective layer of dead skin cells that normally builds up. Anyway, the problem has been ‘solved’ with factor 25 sunblock and I am once again on course to continue the experiment. Current solution is 80% DMSO, 5% Methyl Salicylate, 1% Thymol with the rest being water. The addition of Thymol seems to have a slight positive effect, so I will probably keep it as an ingredient for its anti-bacterial properties (allegedly 20x stronger than Phenol). Next, I will try adding Copper ions in the form of Copper Salicylate at around 1%. I also need to reduce the concentration of DMSO since the 80% solution itself causes some redness. I recently synthesized some Copper Salicylate (precipitation from mixing solutions of Sodium Salicylate and Copper Sulphate then washing it in cold water — it is possible to buy these but I made my own, and purified them, from ‘common household chemicals’ for this small scale test). Made up a 1%-2% solution in 80% DMSO with water, 1% Thymol and some Methyl Salicylate at around the 1% mark. The effect was almost immediately noticeable, with an estimated 50% of the remaining redness being cleared within three days of first application. Naturally I am going to have to start experimenting with ratios again, but this is a major step forward in my estimation. As an added bonus the solution is a beautiful emerald green! It seems that Copper Salicylate is an anti-inflammatory that is an order of magnitude more powerful than aspirin/salicylic acid, and comparable to Cortisone. Additionally Copper is an anti-fungal agent in its own right, so I will have to see whether any long term benefit accrues from that aspect. At around the level of application I am using it (moistening the affected facial areas three times a day) the amount of Copper I will be absorbing I calculate not to exceed the recommended daily intake for this element. It is worth bearing in mind that Copper competes with Zinc for uptake in the body and supplemental Zinc may be required to maintain the correct balance. Time will tell. Additionally, Copper is bad for anyone who suffers from Wilson’s Disease so if that’s you don’t use the above! Only note to add is that the Copper (I) salicylate gradually changes into the somewhat less effective Copper (II) Salicylate after a few hours in solution leaving a precipitate of Copper Hydroxide, thereby effectively halving the Copper content. I now use an approximately 5% solution of Copper (I) Salicylate to start with. Methyl Salicylate is maintained at around 2% because it’s better than the Copper when it comes to getting rid of the conjunctivitis. I’ve cut out the Thymol for now. DMSO:Water is still around 70:30 and does not seem too critical. I now use only two applications, one first thing in the morning after washing and one before I go to bed. I do not wash my face in between. Been using it for some months now and I’ll stick with it. I have decided that at the age of 51 I can’t expect perfect skin and this is good enough! I have just started trying aescin. Unfortunately there is a cross reaction between aescin and the Copper Salicylate which neutralised the effect of both by precipitating out a rather useless scum. It means that I have to wait an hour or so after application of the DMSO soln before applying an aescin gel. I’ve kept using it because I bought it and it does make a small difference. However, I think I might try the oral form and hit the capilliaries from the inside. OK — as of October 2005 I have discontinued the aescin as the benefits were marginal. However, the good news is that I am experimenting with the addition of something more easily accessible — green tea extract. The aim is to reduce the application of the above recipe from twice a day to once a day and maintain the effects, thereby limiting my exposure to DMSO. I’ve only been using it a few days (I made my own using green tea) but it does seem to be far more beneficial than aescin. There have been trials using the extract at 2% concentration on rosacea sufferers with highly beneficial effects. My preliminary protocol is dabbing the face with green tea solution, letting it dry, and then applying my usual formula. Presumably the DMSO will drive the green tea constituents into the skin. More later. I have also decided to include 2% pure caffeine given its powerful restorative and protective properties on skin. November 2005 — I have refined the protocol. I wash my face with green tea soln (from the extract) before bed, allowing it to dry on me. Only one application of the DMSO mixture above is required, which I apply in the morning. Every sign of the rosacea is gone! Note: A number of the above chemicals should not be used by women who are pregnant or breast feeding. If you want to know which, and what damaging effects they may have, you will have to do your own net search. The data is readily available. However, being a man this is of little interest to me personally but I include it in case any female is thinking of doing the same or similar experiments. The list, in no particular order, includes Zinc Acetate both orally as a supplement and topically, Vitamin E, Vitamin C, Vitamin B5, Metronidazole (made things worse), Fluconazole in DMSO, Oil of Myrrh (an allergic reaction or irritation). Various people have emailed me with things that have worked for them, and I will be experimenting with each in turn and reporting the results here. However, each set of tests takes several weeks before the effects are definitive, so it’s a long process. Things still to try include: oral ivermectin. I also intend to add a vasoconstrictor into the solution at some point. At present I favour caffeine because it has the additional useful property of proptecting the skin against UV induced cancer. Butcher’s Broom is also a candidate as it also allegedly strengthens the capillary walls as well as being a vasoconstrictor. Another compound that has caught my attention is Aescin (Escin) which is derived from Horse Chesnuts. They contain around 15% and it can be extracted with water. Aescin has an interesting effect in that it strengthens veins and capilliaries. “This herb seems to increase the strength and tone of the veins, in particular. Since this breaks down hyaluronic acid, why not add hyaluronic acid to the mix…? 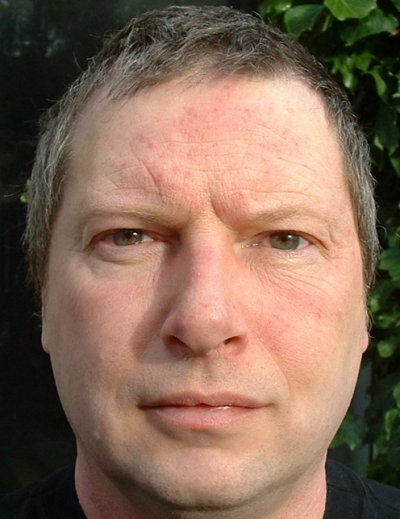 It has been nearly a year since my rosacea finally disappeared. I gradually stopped using the various mixes and waited for it to return, which to date it has not done. The final formulations were the green tea with aspirin, alternating with a mixture of DMSO, Copper Salicylate, Methyl Salicylate and Caffeine. The picture here was taken a couple of months after treatment stopped, and the skin looks even better now. It’s hi-res so you can see the details. As an aside, this kind of research is rather unusual. For example, doctors and even pharmaceutical companies would find this difficult and very expensive due to legal and regulatory requirements. In general they cannot whip up a batch of assorted chemicals that look interesting and then try them out on patients with such problems. On the other hand, I can because I am putting nobody at risk except myself. Perhaps if more people were technically able to do what I am doing more rapid progress would be made. There is no shortage of interesting compounds, or ways of mixing them in various ratios to maximize efficacy. It is 2019CE as I am writing this. I have not used any of these formulations in the intervening years. The rosacea has diappeared completely.